When clients say ‘yes’ to a treatment plan, your practice and patients benefit. Because each practice is different, veterinarians need to figure out what markup is fair and still allows them to maintain a healthy business, and at what cost pet owners find value and keep coming back. Growing a veterinary practice can be daunting. Many pet owners haven’t seen improvement in their disposable income in awhile, new-client visits have declined and internet pharmacies pose increased competition. Meanwhile, your current clients are valuable assets. But when you present to them a plan to diagnose and treat their pet’s chronic condition, they go into sticker shock. It’s understandable. Some veterinary consultants say charging a 100 percent markup in acute cases for one-time diagnostics, medical services and medicine is standard. But with lab work intervals for chronic conditions occurring at 15, 30 and 90 days, the markup at every visit can erode the client’s value perception. The client might opt to euthanize when proper management could have given the pet a good quality of life. To avoid this scenario, the veterinarian might want to consider a chronic disease treatment business model. This means charging a smaller-than-usual markup for services that must be frequently repeated for the rest of a patient’s life. “The typical 100 percent markup can become a burden to clients dealing with a pet’s chronic disease,” says Fritz Wood, CPA, CFP, a veterinary financial and business consultant based in Lenexa, Kansas. “Charging less in the short run can keep the client returning for routine exams, vaccinations, parasiticides, professional dental cleanings. Peter Weinstein, DVM, MBA, of PAW Consulting in Irvine, California, agrees. He has promoted a similar protocol and takes Wood’s suggestion one step further. His model parallels wellness plans but is developed for ongoing disease monitoring. “With chronic diseases such as kidney failure, diabetes, Cushing’s, Addison’s and feline hyperthyroidism, you can offer the owner a package of services and treatments that include tests, medications, office visits,” Dr. Weinstein says. Using the typical markup may drive clients to price-shop, especially for medications, warns Dr. Weinstein. “When the client must bring the patient back for visits and tests, she can decide that there is only so much she can afford and opt to put the animal down,” he says. Pet nutrition companies do something similar with therapeutic foods for chronic conditions by setting the suggested retail price at lower markups. As clients’ options evolve, veterinarians need strategies designed to retain chronic prescriptions and offer value-based chances for owners to treat their pets. Be willing to try something different, Wood says. How many of your clients have declined treatment of a chronic condition? Assess the value of those lost services and medications. If offering a lower margin on laboratory testing and medications, while maintaining a professional margin on services, could have led to the pet owner to say “yes” to your treatment plan, consider what size markup might have led to their agreement. Maybe it is a 50 percent markup, Wood says. Run a few scenarios with different markups and see what it does to the treatment costs, and at the same time look at the potential profit from treatments that owners have declined. A declined treatment plan yields no profit. If you choose the lower markup for chronic illness, promote it to the client, Wood says. Continuing education sessions, contracting with a practice consultant and joining a business management study group are ways to help develop your business model. 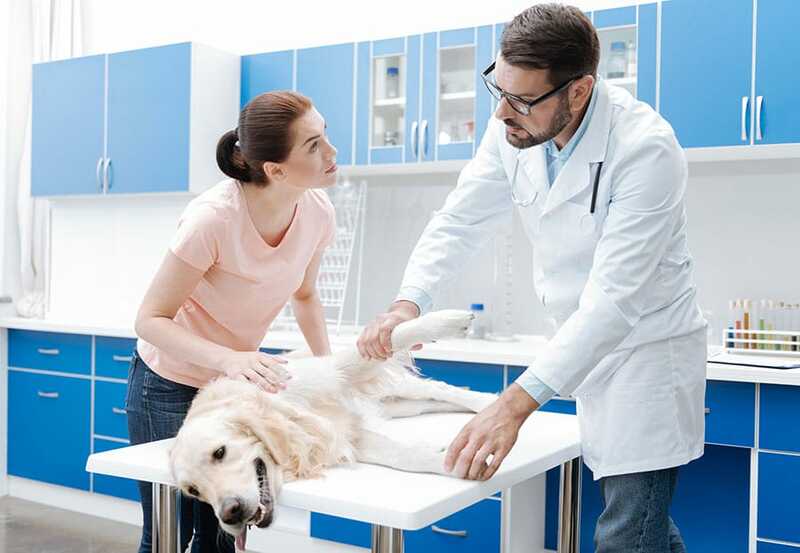 Endocrine diseases can be properly managed to allow pets to have dramatic turnarounds in their quality of life, but only if the client agrees to your treatment plan. Ultimately, that’s what we all want, Dr. Weinstein says. This Sponsored Content article was underwritten by Dechra Veterinary Products of Overland Park, Kansas.